You’d better tell your wife not to throw the wood into the fireplace. It’s a docking station for your iPhone 5/5s or iPhone 4/4S. If you like eco-friendly design, let’s go on checking. 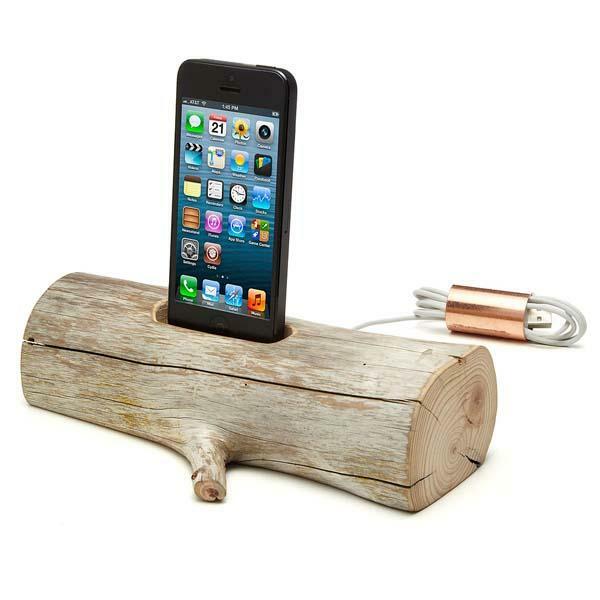 This is a well-crafted wooden docking station that measures approx 8-9 inches long. As we can see from the images, the charging station features minimalistic and natural style, and is made from natural driftwood directly from the coast of Maine, and polished to a velvety smoothness by sand and surf before washing up on the stony shores for a perfect combination of organic and artificial. Moreover, using integrated cradle with Lightning connector or 30-pin connector you can easily dock your iPhone on charging station for charging or syncing. 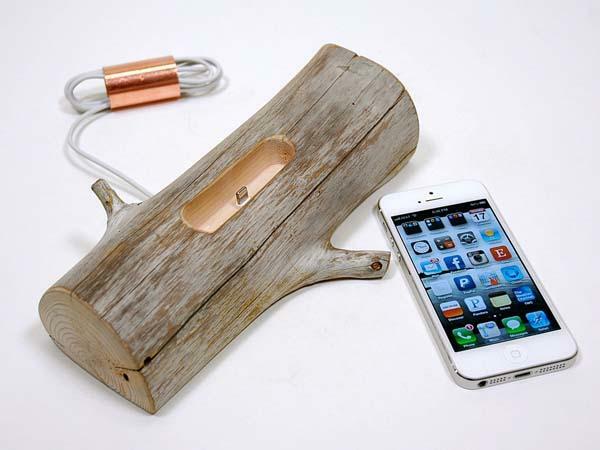 The driftwood iPhone docking station comes in two models for iPhone 5/5s and 4/4S is priced at $72 or $88 USD. If you’re interested, jump to UncommonGoods online store for more details. Additionally, if you need other options you might like to check the Arq docking station and more via “docking station” tag.